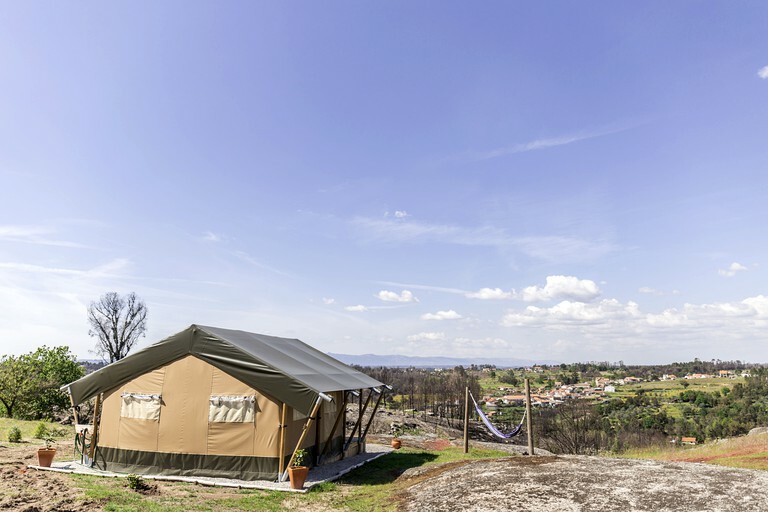 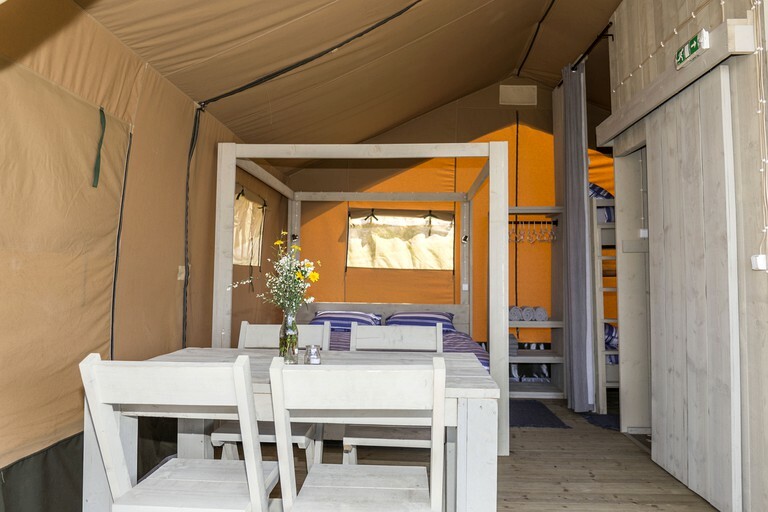 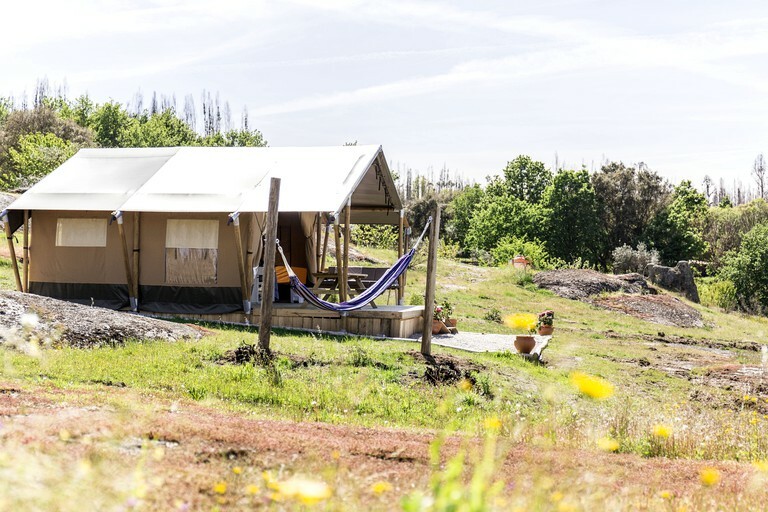 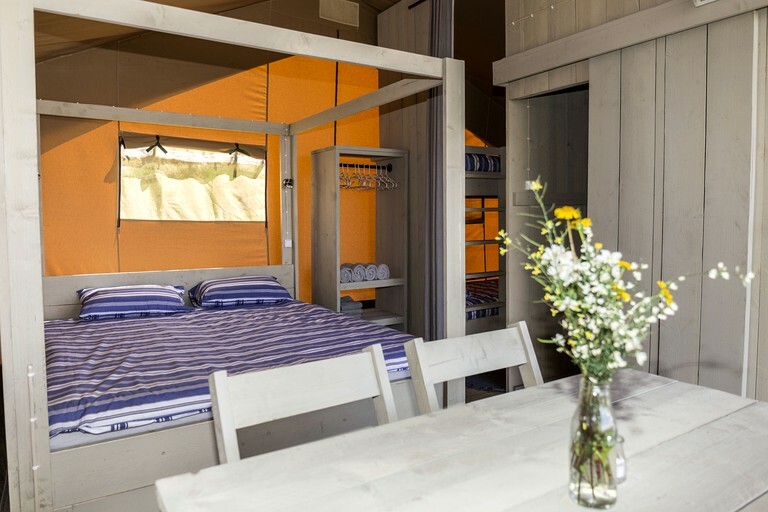 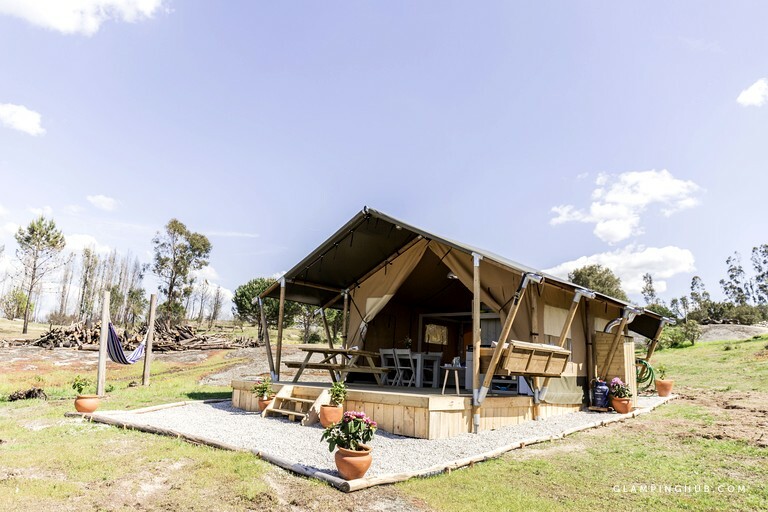 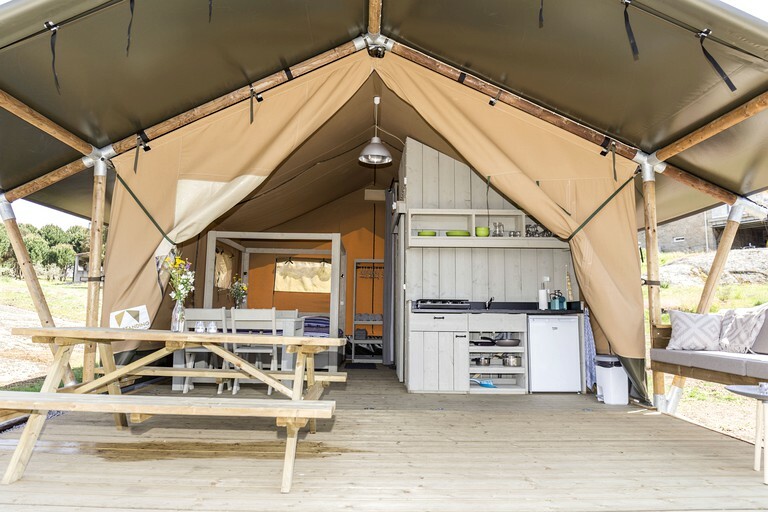 Guests will enjoy a touch of luxury this stunning safari tent near the charming town of Luso, Portugal. 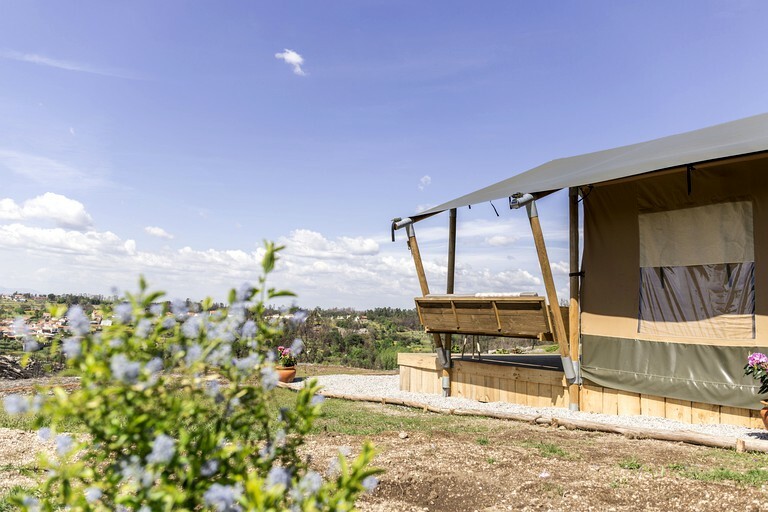 This safari tent has two bedrooms and can accommodate up to four people. 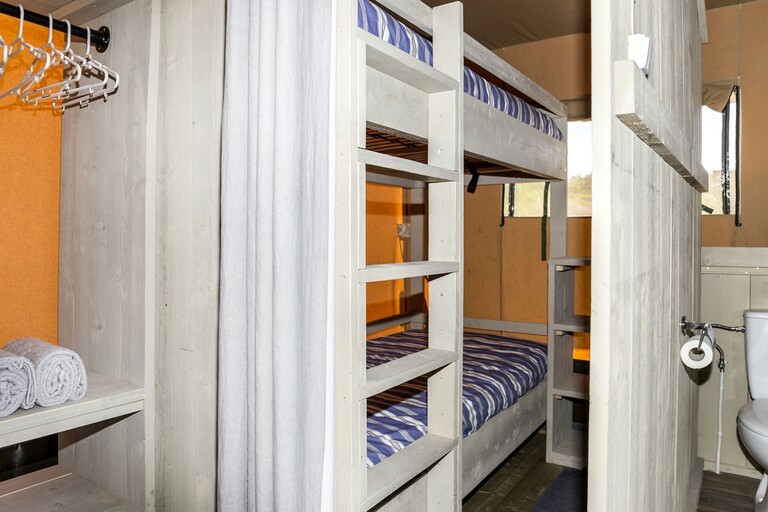 The first bedroom has a comfortable double-size, four-poster bed while the second bedroom has a bunk bed, which is ideal for children. 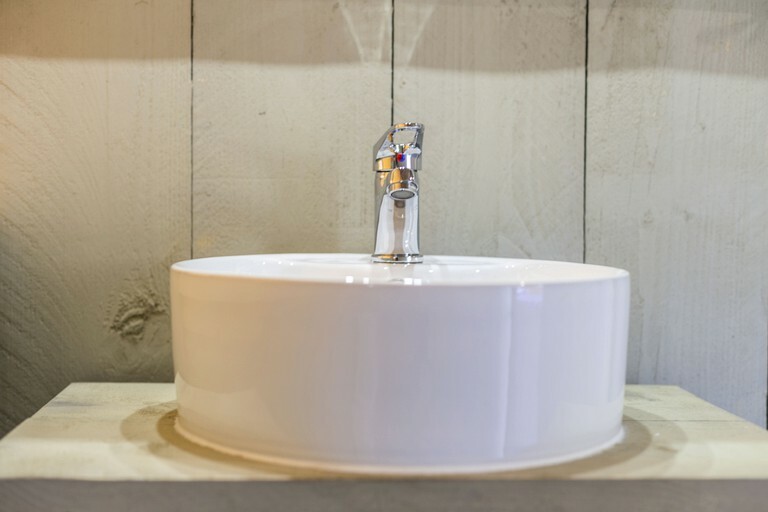 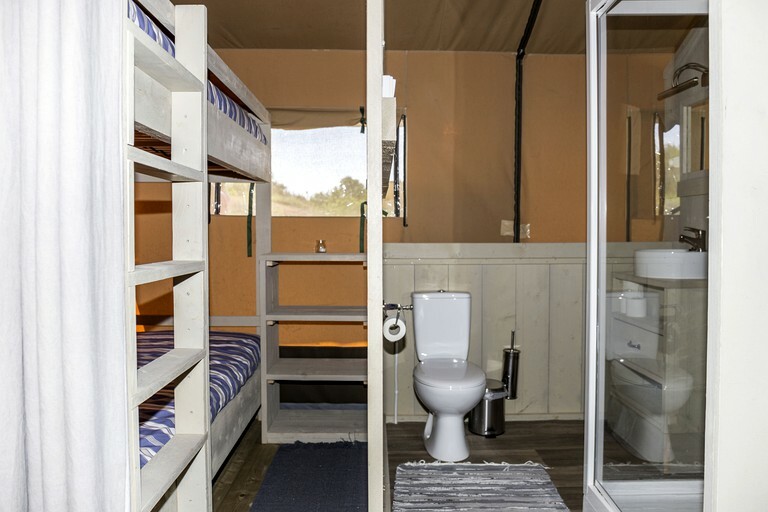 The accommodation has a private bathroom with a shower, a sink, and a toilet. 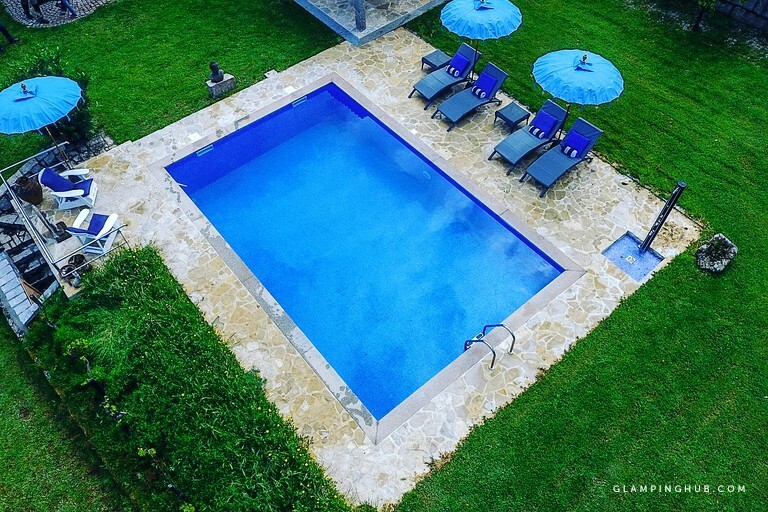 This unique rental also has access to a fully-equipped kitchen which opens up onto the delightful deck area. 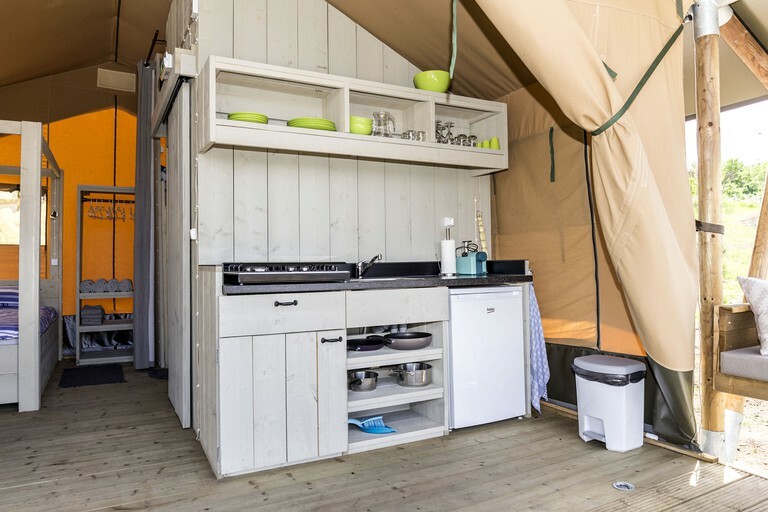 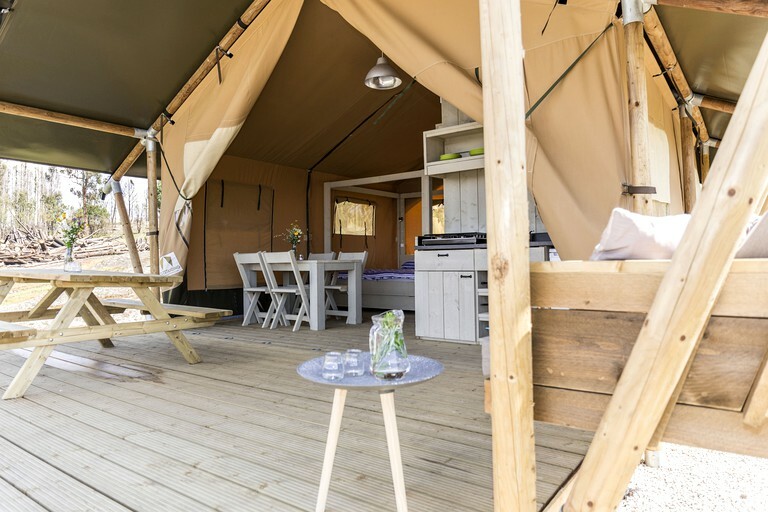 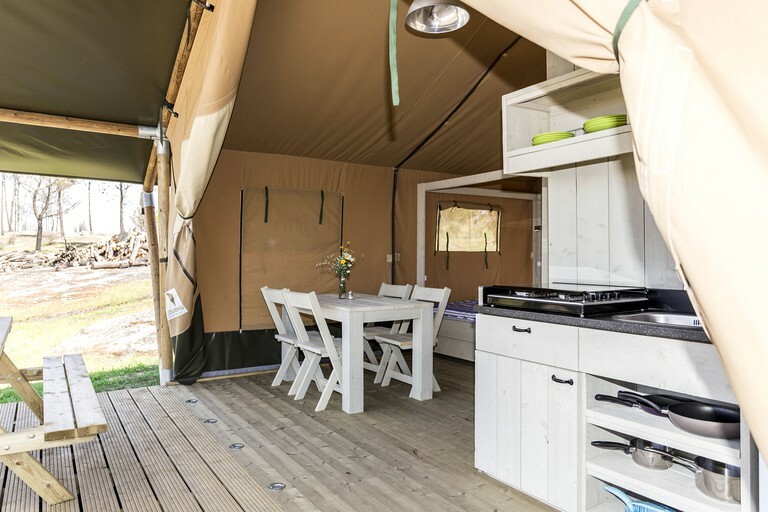 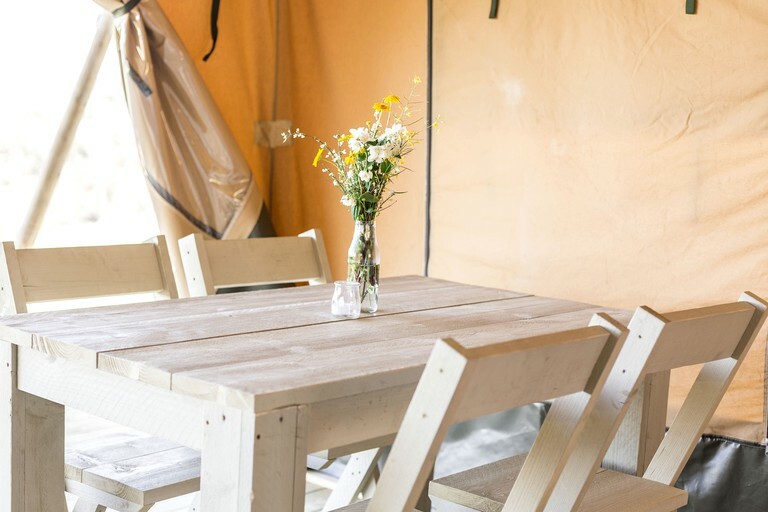 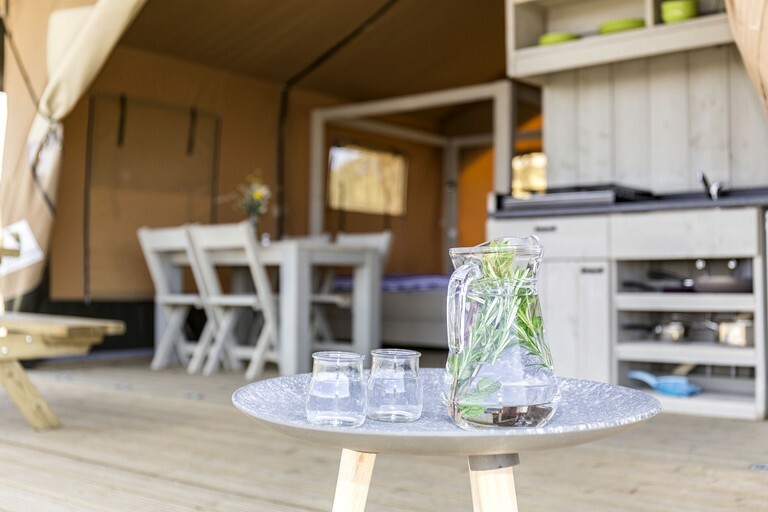 Glampers will have all the necessary utensils and cookware needed to cook up a delicious meal to enjoy around the dining table. 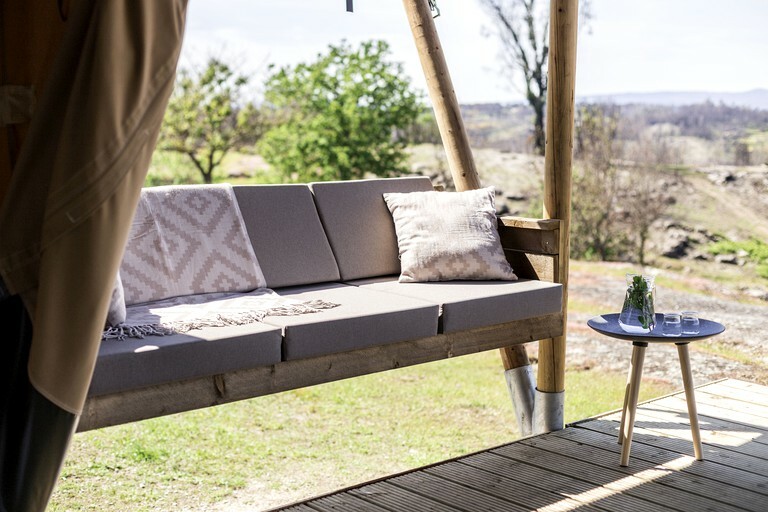 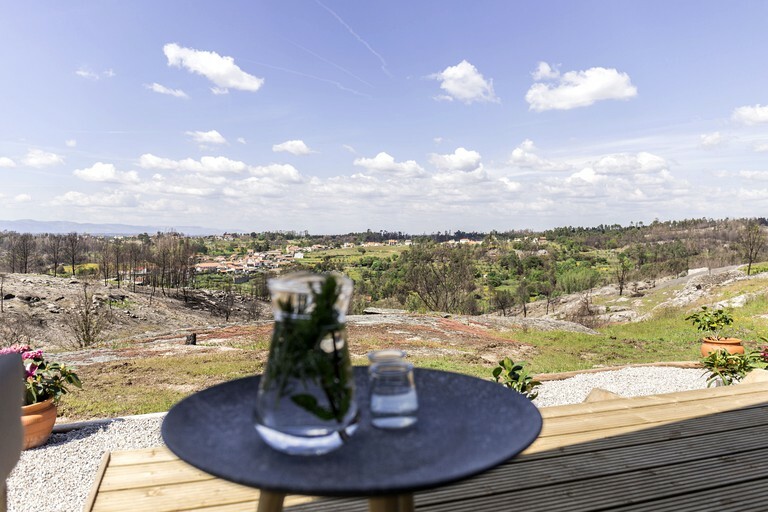 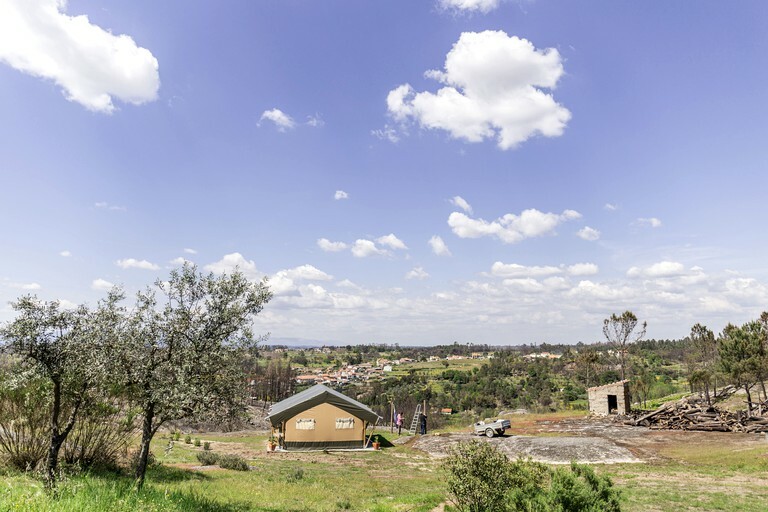 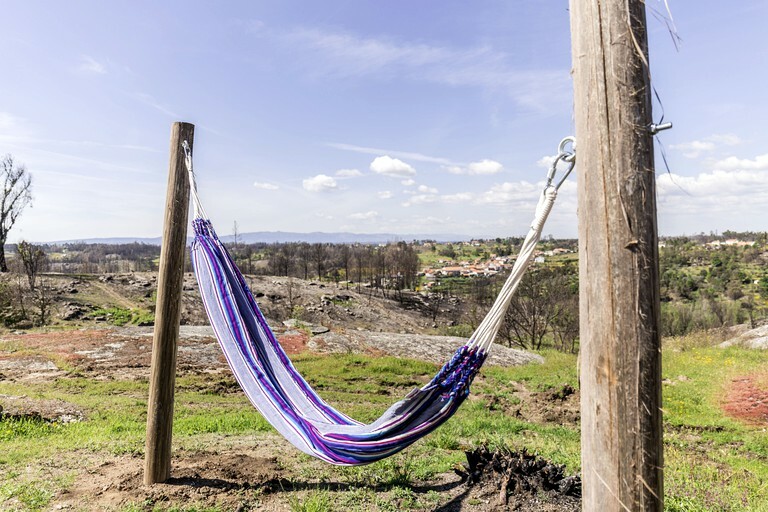 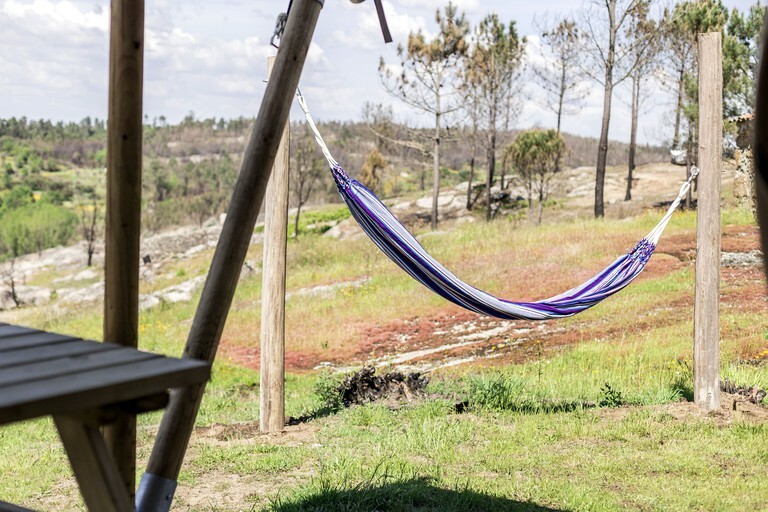 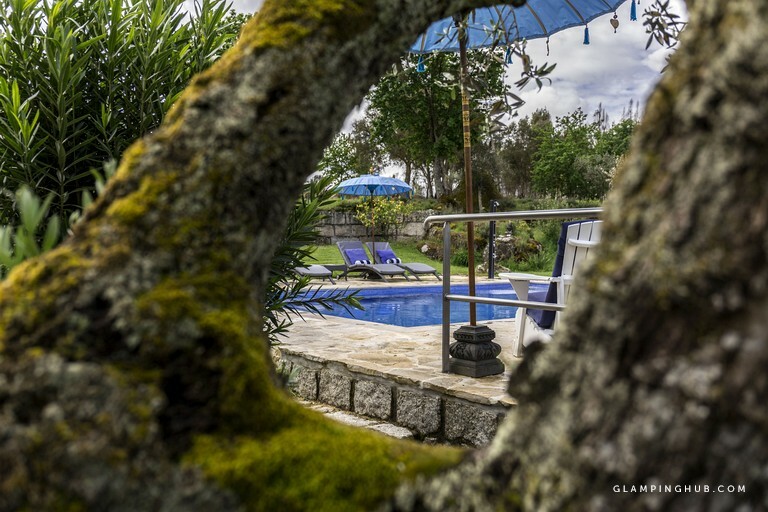 The three-meter covered porch features lounge chairs for glampers to enjoy a crisp glass of Portuguese wine while watching the sunset over the valleys in the distance. 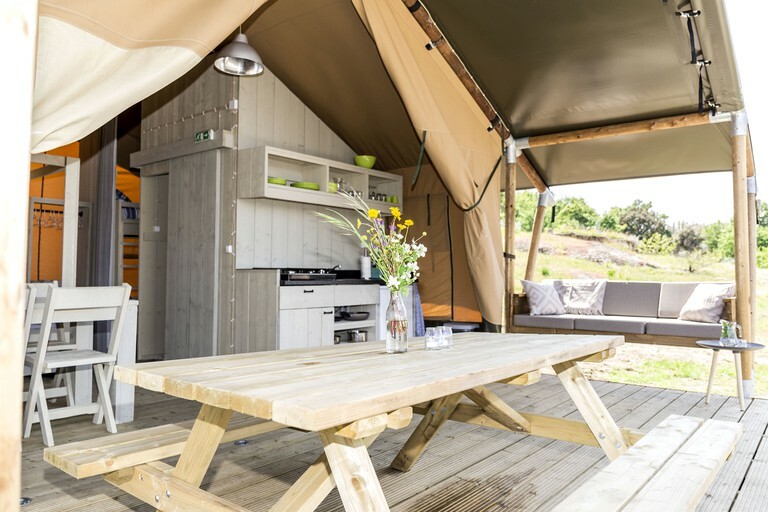 There is also a picnic table for glampers sit back and enjoy eating in the sunshine.